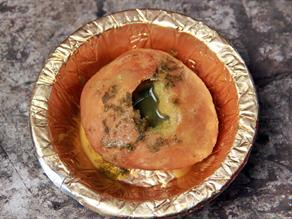 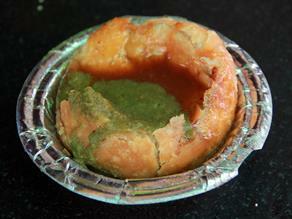 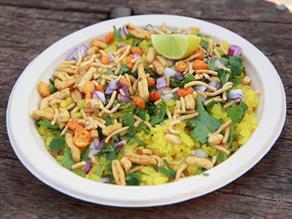 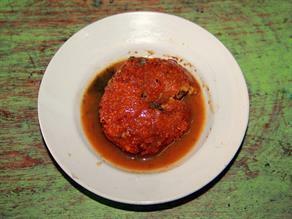 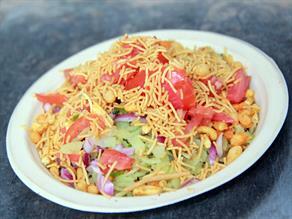 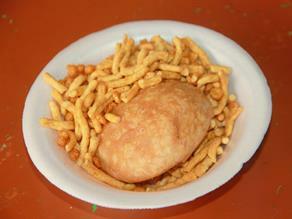 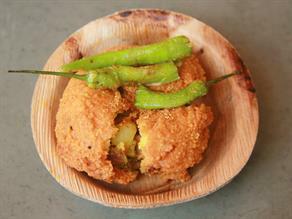 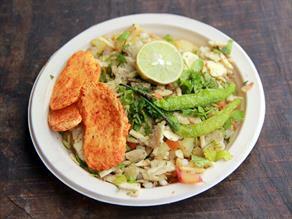 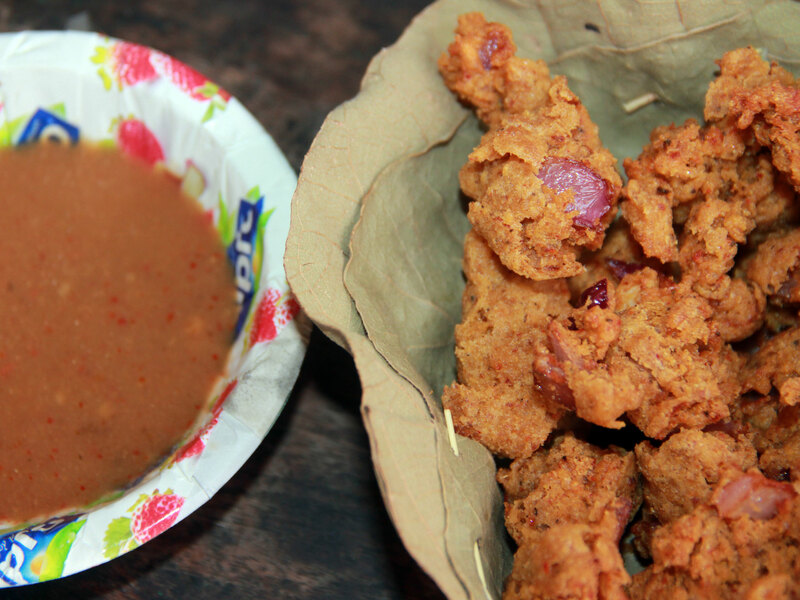 The medium spicy Besan ke Pakaude served at Jai Ram Ji Wala attains a unique taste with the use of nicely cut green chilies. 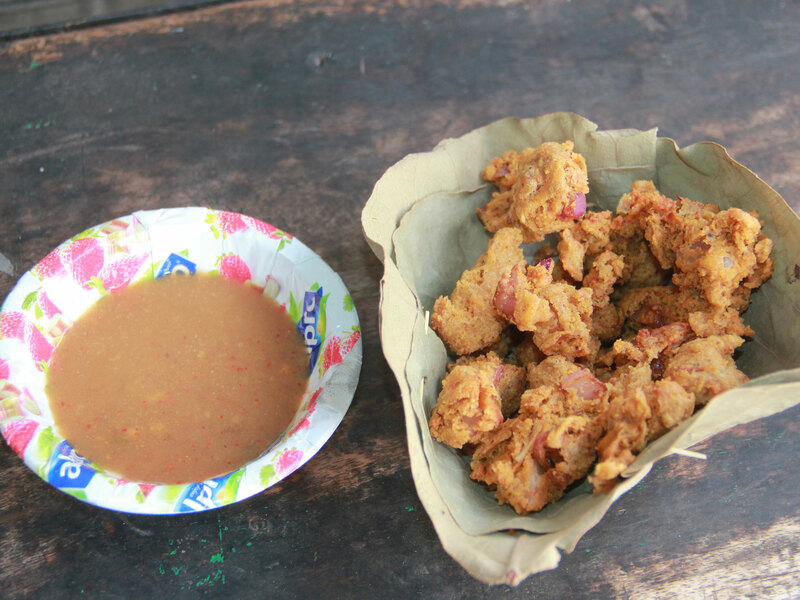 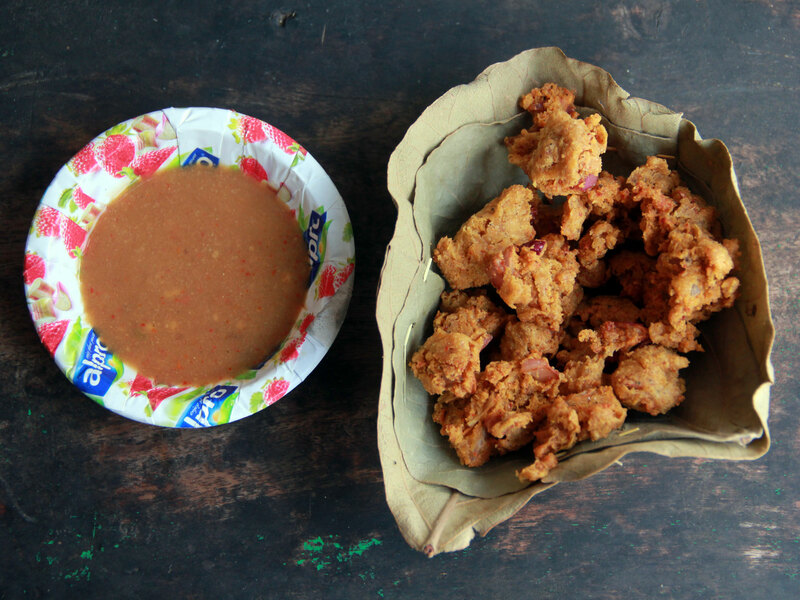 Prepared from the batter of gram flour (homemade Besan) seasoned with basic spices- salt, red chili powder, turmeric powder etc., added with diced onions, green chili and deep-fried in peanut oil, delicious Besan ke Pakode (fritters) has a pleasantly medium spicy taste and relished hot with sweet and tangy chutney made from jaggery and tamarind. 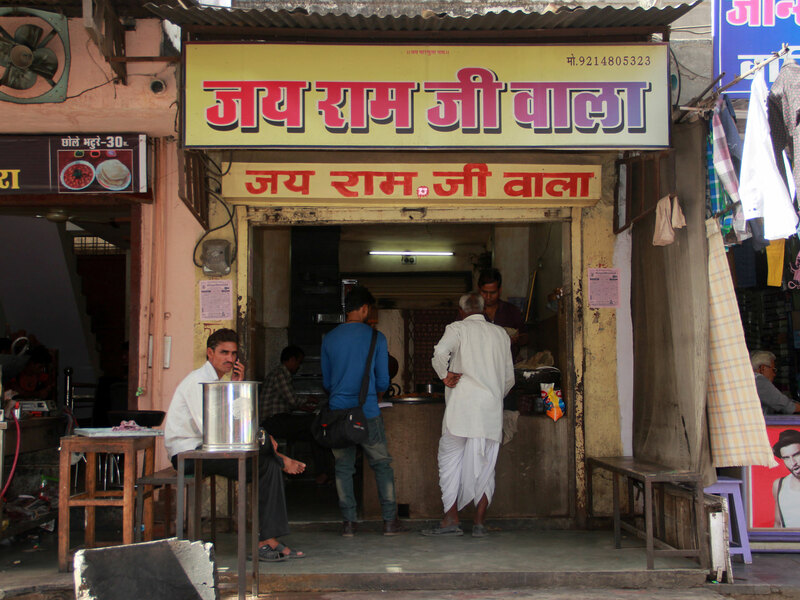 The taste is available from 02:00 p.m. to 07:00 p.m.
For over a period of six decades now, Jai Ramji Wale has been running a Besan Pakodi shop near Nagori Garden, Maharana Market, Bhilwara. 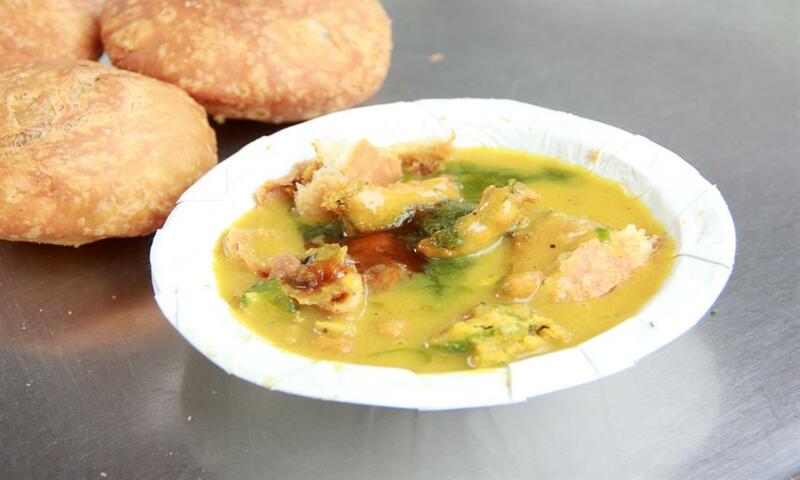 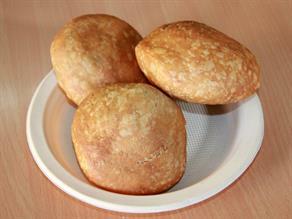 The setup and locations is convenient for most passersby and market customers to try hot Besan-Pyaj ke Pakaude at reasonable price in a clean ambiance.